The new variant of the Compass will sit above the base Sport trim and will be available in both petrol and diesel options, with just a manual transmission. After Jeep launched the Compass in July 2017, Hyundai introduced the face-lifted Creta, Mahindra gave the XUV5OO an update and, above all, Tata introduced the Harrier. 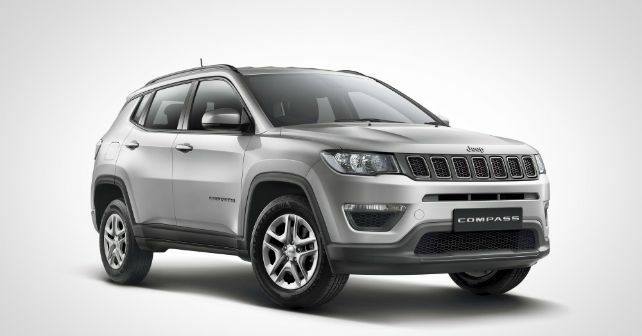 With the competition getting intense, Jeep has now added a new variant to the Compass – the Sport Plus. As the name rightly suggests, this variant will sit marginally above the base Sport. Jeep has priced the Compass Sport Plus Petrol at Rs 15.99 lakh, while the diesel will cost you Rs 16.99 lakh. Both prices are ex-showroom, Delhi. At this price point, the Sport Plus demands a premium of about Rs 60,000 for the petrol version and Rs 40,000 for the diesel variant. What additional features do you get for the price then? The Sport Plus has been fitted with dual-zone climate control, rear parking sensors, black roof rails and 16-inch alloys. The Compass Sport Plus also comes with an electronic parking brake and disc brakes on all four wheels. Just like the Sport variant, this one too comes with a smaller touchscreen infotainment system. At the heart, the Compass Sport Plus will continue with the same petrol and diesel engine options. The 1.4-litre turbo petrol motor that develops about 160 horses and a diesel that pumps out 170bhp. Both engines only come paired with a 6-speed manual transmission. The addition of the Sport Plus trim to the Compass has been smartly done by Jeep. With the launch of the Harrier and with the Creta on sale at a relatively lower price, Jeep really needed a marginally better-equipped package than the Sport trim to make the brand available to a larger audience. This is the second variant that Jeep has added to the Compass since January. The company added the Longitude (O) trim earlier this year.